In my last post, I profiled the Origins of AIDS, Jacques Pépin’s masterful study of how the virus that causes AIDS in humans originated in chimps and then jumped to humans and later took off as a result of a complex series of events involving local populations uprooted from traditional practices, the spread of prostitution, and widespread use of injections to fight infectious diseases, among other factors (see Donald McNeil’s compact summary review in the Times). If Pépin’s book is of a scholar/detective sifting and sorting evidence to advance an argument, Geffen’s book represents the history if somewhat impersonal memoir of the experienced social pugilist. His efforts remind the world of the achievements of the Treatment Action Campaign (TAC), the South African AIDS advocacy campaign that challenged the government of Thabo Mbeki to provide antiretroviral (ARV) therapy to those suffering from AIDS. 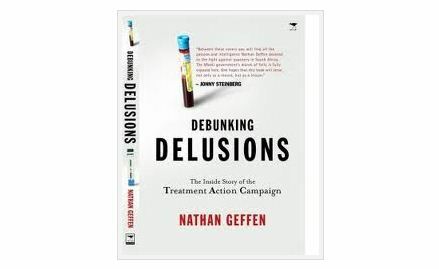 Geffen is one of TAC’s longtime leaders, and this book chronicles TAC’s clashes with both the South African government and a series of quacks and denialists who sought to promote anti-scientific remedies that likely contributed to the deaths of thousands of those suffering from HIV. Geffen casts Mbeki (and his health minister) as villains in the struggle to extend treatment to those with HIV. For those familiar with the work of Nicoli Nattrass, William Forbath, the political cartoons of Zapiro, and others, Mbeki’s indulgence of AIDS denialism rings both true and familiar. Alongside retellings of the legal wrangling by TAC with the Mbeki government and the quacks and hucksters, Geffen peppers the narrative with stories of people who took the their advice rather than the guidance of the medical community. The examples of failed and ultimately fatal vitamin and garlic treatments are sober reminders of the price paid by so many. As president of the ANC and by far its most powerful member, Mbeki was able to impress his personal positions on the organisation. Despite an essentially democratic structure – branches and sectors elect their leaders, who in turn elect the organisation’s leadership at provincial and national level – the ANC has much within its culture that is anti-democratic and renders it vulnerable to and easily manipulated by the personal views of its strongest leaders (p. 193). The ANC together with its allies liberated South Africa from apartheid. It is recognized and admired as the liberator by about two-thirds of the voting population. This enables it to exert a powerful hegemony over South African society (p. 194). By appeals to African nationalism, Mbeki and his allies were able to stave off vigorous contestation from AIDS advocates for several years. Though TAC was ultimately able through the court system to push the South African government to change direction, the damage was done with at least two studies estimating that 330,000 plus deaths could have been averted with different policy. This explanation – emphasizing the leadership role of Mbeki himself and the dominance of the ANC – fits my own understanding of the South African case as well as the Ugandan case where President Museveni took a much more aggressive stance in addressing the AIDS crisis. Here, Geffen’s book intersects with the Lieberman book mentioned above. The recent issue of Perspectives on Politics features three (!) reviews on Lieberman’s book by Macartan Humphries, Eduardo Gomez, and Daniel Posner. While Geffen’s book is obviously limited to a single case and represents the work of an activist rather than academic, I found his answer more persuasive than the account, at least of the South African case, featured in Lieberman’s book. 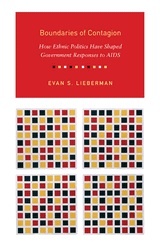 Through mixed methods including sophisticated econometric analysis, Lieberman attempts to show that the fluidity of ethnic boundaries explains the reason why some countries addressed AIDS more than others. Where boundaries are rigid, groups less affected fail to support policies to help out others, as they see themselves less at risk and those communities disproportionately affected by the AIDS crisis fail to mobilize, given their marginalized status. Where ethnic boundaries are weaker, there is a greater sense of shared fates. But South Africa remains puzzling. One would expect that if there were any place where the effects Lieberman describes would not be determinative, it would be in a case in which the affected group was both a large majority and in control of policymaking (pp. 875-876). While he provides evidence showing that state capacity and the presence of NGOs is insufﬁcient for predicting policy responses, it is hard to say the same for political leadership. The dismissal of AIDS leadership fell on President Nelson Mandela’s avoidance of the issue in South Africa, Thabo Mbeki’s interest in AIDS prior to election, and then his avoidance of it once in ofﬁce, notwithstanding ongoing political support. In Brazil, Lieberman claims that aggressive policies predated Presidents Fernando Henrique Cardoso’s and Luiz Inácio Lula da Silva’s political leadership. Yet this is factually incorrect. Prior to Cardoso’s and the World Bank’s loans in 1993, there was no aggressive AIDS program. Thus, leadership under Cardoso, at the presidential and bureaucratic level, was important for reform (p. 878). In Lieberman’s view, leadership is unsatisfying because: “The relationship between cause and effect is so close that they are almost indistinguishable” (p. 19). However, one can identify differences in state structures where personal rule is possible. As Robert Jackson and Carl Rosberg argued in their classic article “Personal Rule: Theory and Practice in Africa,” many newly independent African states lacked institutionalized checks on individual leaders. While that portrait has started to change, it is still a recognizable feature in many African countries. Though South Africa possesses more of the societal and institutional checks than the rest of the continent – an independent judiciary, a free press, and a vigorous civil society – the ANC’s legacy as liberator and Mbeki’s privileged position within the party gave him significant scope to pursue an idiosyncratic agenda for several years. While social scientists tend to dislike individual level explanations in favor of more domestic structural and international systems level explanations, one cannot understand critical cases like South Africa without bringing in agency and leadership. For that matter, we can’t understand PEPFAR without acknowledging the role of President Bush and his personal interest in the problem. Here, I’m reminded of the piece by Dan Byman and Ken Pollack in a 2001 issue of International Security, “‘Let us now praise great men: bringing the statesmen back in.” The challenge is to recognize the conditions under which leaders may exercise agency. The structural impediments to action vary by country and circumstance. Sadly, in these tough economic times, the scope for more aggressive efforts to address the AIDS crisis appears much more circumscribed than it was just a few years ago. Leaving this more theoretical social science question aside, Geffen’s book supports the notion that the Mbeki government did the wrong thing when it could and should have done something different. It is heartening that the Jacob Zuma government did an about-face on AIDS and has dramatically changed course to extend ARV therapy, support male circumcision, and enacted a host of other measures to treat and contain the epidemic.